Our cabinetry ships direct so you get way more for your money. Ask about our Quick-Ship cabinetry that designers and builders love. Endless Possibilities. Guaranteed for Life. If you can dream it, we can make it. And we'll also stand behind it. For as long as you live. But if you're short on dreams, don't worry. We can design the perfect solution for your space and your style. In a hurry to get your kitchen remodeling done but still want a great product? Our premium Quick-Ship cabinetry is built to suit tough timelines and budgets. Never sacrifice quality for timing again. We take great pride in making the highest quality cabinetry available anywhere. We're located in the charming town of Collingswood in Mid-South, New Jersey, just outside of Philadelphia Pennsylvania, but we ship anywhere in the continental U.S.
We look forward to helping you design your dream kitchen and storage solutions around your home or business. Give us a call or send an email! 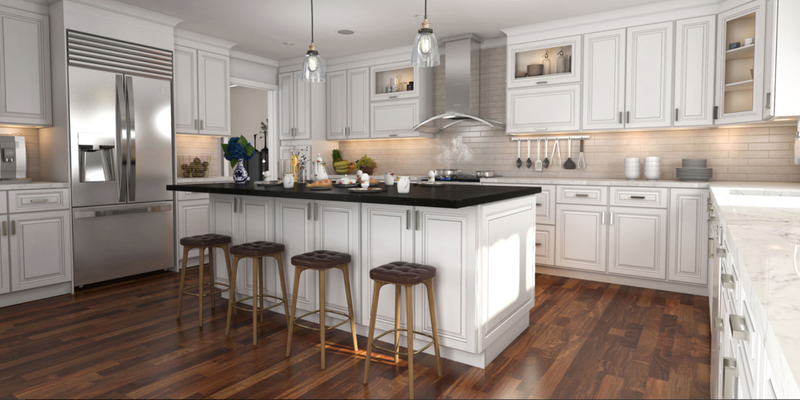 Click to learn how our experts can help plan your dream kitchen.